You are at:Home»Random musings»Blogging to keep you sane – that and gin! 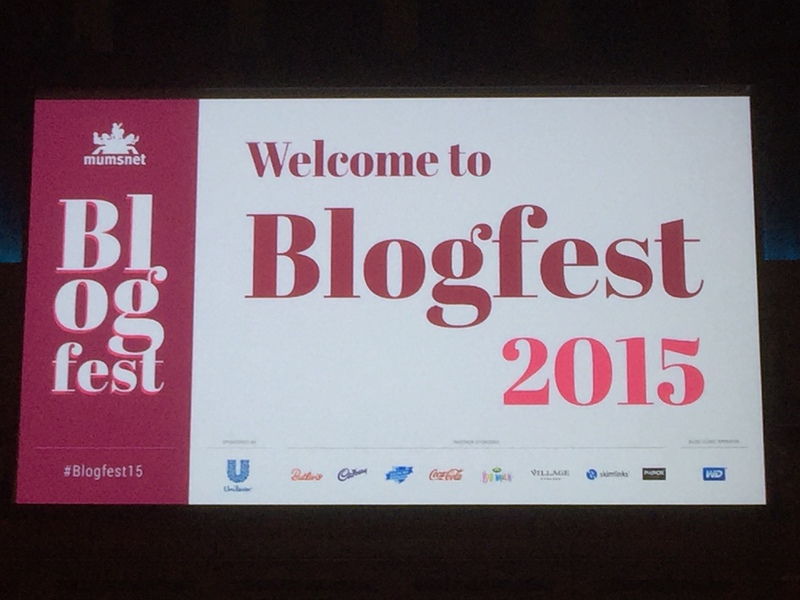 Blogging to keep you sane – that and gin! 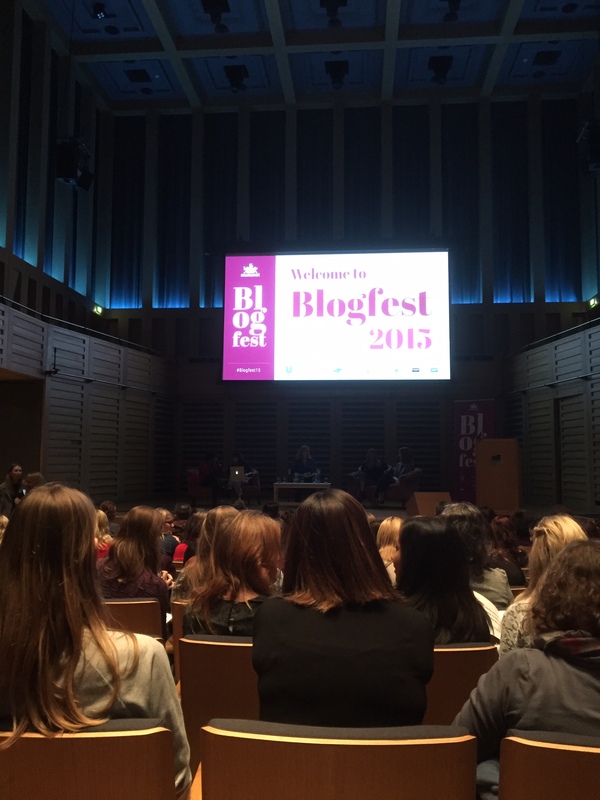 The venue for Blogfest15 was a lovely building in Kings Cross called Kings Place. Modern and spacious it was a comfortable home for the day. Offering both large auditoriums and break out spaces, areas for sponsors to show their wares and plenty of tea and coffee stops. Free ice cream was on offer, biscuits and pastries around every corner. But to the conference itself. Well, my husband was one of maybe half a dozen men attending out of 300+ delegates. He didn’t mind. Apparently he found it an interesting insight into the concerns women have about their place and responsibilities in the world. I was surprised as I’d thought that I had managed to make these concerns clear on many occasions, but he said it was different when it wasn’t delivered as a telling off!! I suppose it should come as no surprise that most of these bloggers. 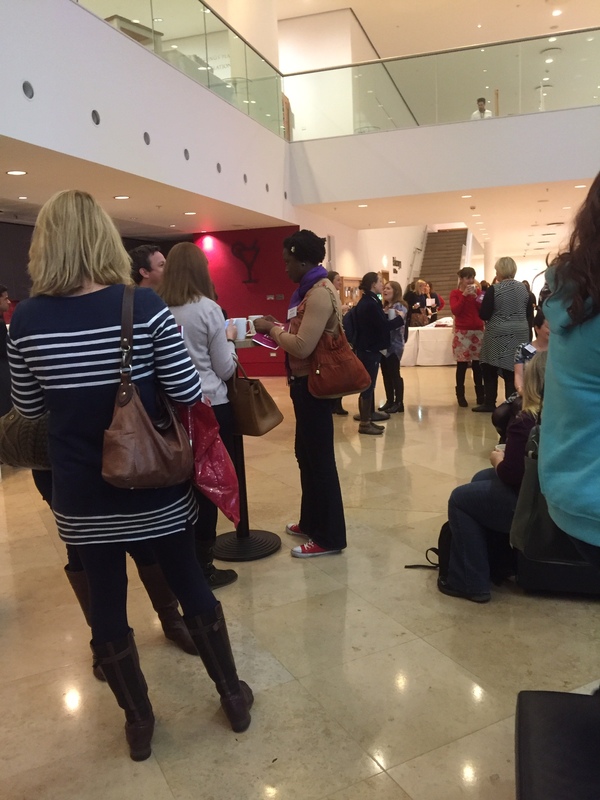 attending the Mumsnet event, blog about being a mother. A few are campaigning bloggers, campaigning mostly about things that affect families and their children. But I was in the minority when the audience was asked how many people present did not blog primarily about motherhood in all its guises, only about half a dozen of us raised our hands. People’s blog names often give the clues to the frustrations and challenges of motherhood that they blog about – many seem to include the mention of gin in the title. The general theme seems to be that being a mother is jolly hard work, that no-one is doing it right and actually there is no right way to do it, but that’s okay. The thing that was really interesting was how many mums admitted that they started blogging in order to prevent themselves from going mad. It was a way of talking to adults, when the only other option was their irrational two-year-old or crying baby. How they started, often from a position of near despair, and were transformed when they found that others were experiencing the same issues. They found themselves part of a supportive community, mothers struggling at home without enough time or contact with the outside world. One of the speakers, Katy Wheatley, was even brave enough to admit that she hated being a stay at home mother and felt that she was losing her mind until she began to blog at the suggestion of a friend. To be honest, it didn’t paint a very happy picture of motherhood. People spoke of feeling judged for their decisions. If they stayed at home they felt that working mothers thought they were brain dead and if they returned to work the stay at home mothers looked at them as bad mothers. How has it come to this ladies? The day started with a session on ‘Motherhood and Creativity,’ The panel was made up of the actor and writer, Meera Syal, the comedian Bridget Christie, Polly Vernon, who was introduced as a ‘hot feminist’ writer and who isn’t a mother, Catherine Mann a mother who has recently returned to work and was chaired by the journalist, writer and mother Bryony Gordon. Margaret Atwood, the writer, was present via a video link to Canada which didn’t work very well. The things that Margaret Atwood said that were decipherable were telling. Enjoy being a mother, it doesn’t last long was one, and the fact that as a grandmother her favourite four words, ‘this child is wet,’ can be said whilst handing the child back to its parent. Her perspective was that of someone who had emerged from the other side still intact and with a successful career. The rest of the panel were still in the throes of trying to make it work. Everyone on the panel agreed that a supportive partner was important if you wanted to combine motherhood with a career outside of the home. They also agreed that even with a supportive partner it was still the women who had to do all the organising of the family calendar. I felt that it would have been useful to have a ‘stay at home’ (what a terrible phrase) mother on the panel too. The implication seemed to be that one could only be creative in a career outside of the home. The speakers fees for the day must have been huge. As well as those already mentioned we were treated to presentations or ‘Think Bombs’ – no, I didn’t know what they were either, from Sandi Toksvig on equality, David Baddiel on his Twitter offerings and Val McDermid, the crime writer. They were all excellent. It was nice to see that David Baddiel didn’t feel the need to modify his language in front of ‘ladies’. There’s some equality right there for you Sandi! Fi Glover, radio presenter, and journalist chaired a funny and at times moving session with journalists Robert Crampton and Lucy Cavendish, blogger Abby Boid and comedian Shappi Khorsandi about how they incorporate the stories of their private lives into their public offerings. This is of course what all the blogging mothers are doing when they share the stories of their family life in their blogs. Generally they agreed that they wouldn’t use anything that would embarrass their children and that in appearing to share quite intimate details of their trials and tribulations they are in fact holding back much more than they share. Authenticity, however, was crucial. There was so much more, but one of the sessions was on ‘Brevity is the Soul of Wit’ and I’ve already exceeded the recommended word count for this blog, so I had better finish quickly! Suffice to say it was an interesting day and I enjoyed it very much. Great website. Lots of helpful information here. I’m sending it to several buddies ans also sharing in delicious. And certainly, thanks to your sweat! You are very welcome. Thanks for the shares. I really appreciate it. Hello There. I found your weblog using msn. This is a really neatly written article. I’ll be sure to bookmark it and return to read more of your helpful info. Thanks for the post. I will definitely return.